I could always randomise them in the info.dei file of the armor, like i did with the barrel and stalagmite. Great work! I enjoyed all the 3D models, looking forward to new additions, the Cacodemons really look amazing! Nice lightning effect when attacking and I like checking out the model after he has met his maker! The map hack files from Duke are like an extra dei for a model. But you need to define it for EACH OCCURANCE IN EVERY LEVEL. So, some better solution would be preferable. This is going to be an issue with items like the candelabra as it will clip into walls with random rotation. So, is DHMP basically a replacement for the resource pack that hasn't been updated in years? KuriKai, thanks for the amazing DHMP and DHTP projects. They really make Doom look very modern while staying faithful to the original design of the game. Cacodemon really looks amazing. Can you add more monsters to DHMP project? How is the DHSP project going? Can you post a work in progress version for DHSP on github? There has been no progress on the DHSP for a long time now, would would be the best way is to render the models from the DHMP. I've been wrapping up a mod for EDuke32, after which I'm back to Dooming, and maybe some Hereticing. That is great news guys. I look forward to the next update of this mod. Please don't give up. You are truly building something special. Will you also work on the User Interface? For example, is it possible to have a real animated 3D model for the Doomguy's head in the center of the HUD? Or does it have to be prerendered sprites? Distant terrains in the game are prerendered sky and mountain textures. For distant terrain, is it possible to have real 3D models of mountains that rendered by the game engine? Hey, I'm new here. 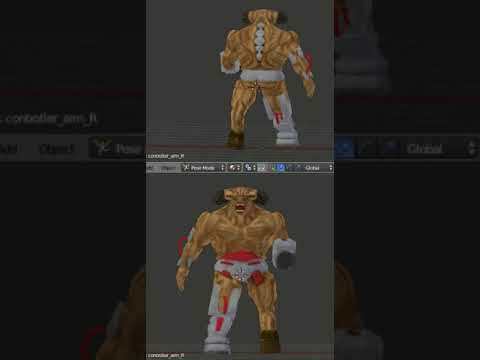 I've been looking around to get my hands on doom modding. 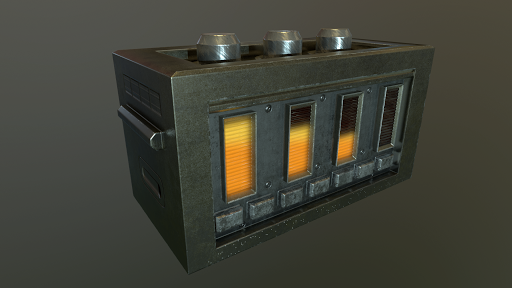 Not intending to hijack DHMP thread, but I stumbled upon this thread while searching for 3D model resources. Some guy did the pinky in high res model, and that one looks awesome. 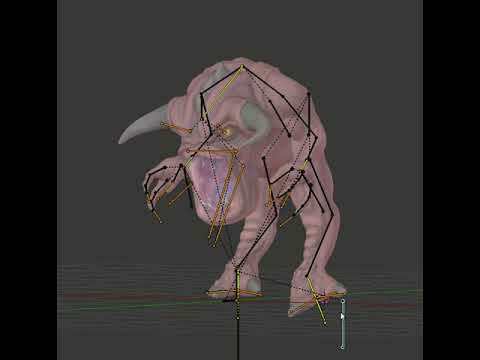 Another guy did baron of Hell, but it wasn't rigged nor animated. Those two are great start IMHO. And I've been watching @KuriKai works as well. But upon digging the new resource pack that contains the new cacodemon model (which was in fbx format instead of dmd) I'm clueless on how to work on that. I'm a professional animator, but barely into gaming or real time application, but I do know my way into most 3D softwares packages out there. For a start, I need to know the fbx specification that was used within Dengine, is this the same fbx that was used by autodesk softwares? And I see that you used blender. Will the rigging and animation done there too? How about the exporter? I haven't read the manual link on the dengine website, but I'm gonna start digging there. When I'm ready with all the tools and the technicals I might give my contribution on the DHMP project. 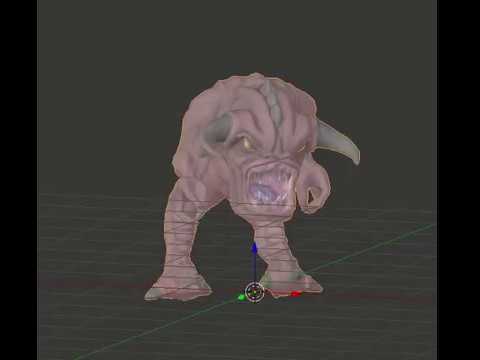 I use blender to rig and animate the models. Take a look at the DHMP github, to find the source blend files, that should help you. I hope you post another new update with new monsters and weapons soon. Stay tuned. 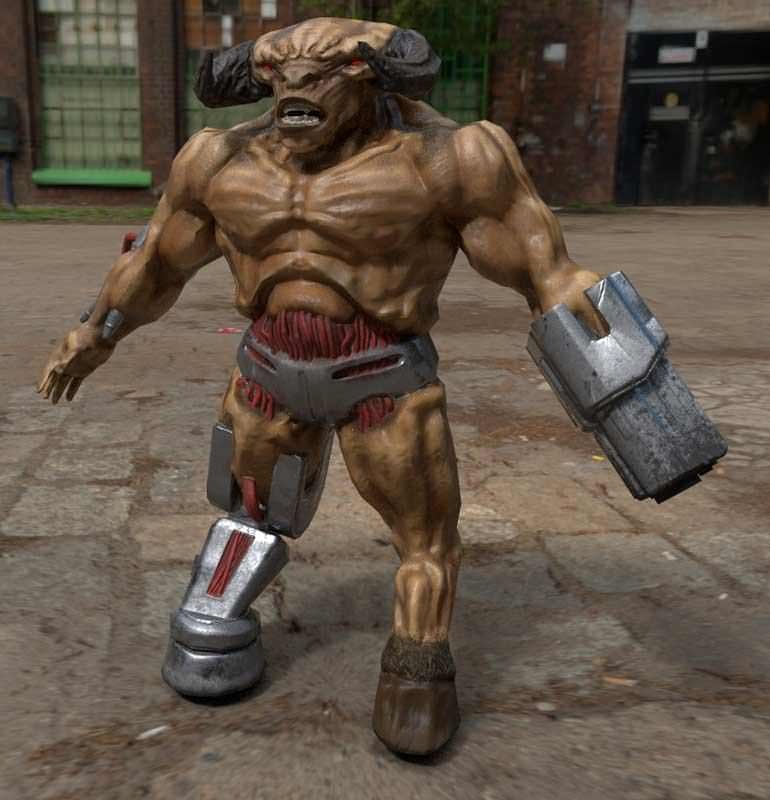 Cyberdemon should be next. Tea Monster and I have now released a new version of the pack, included in it is the ammo "clip"
Cacodemon (both the model and its shaders) looks really amazing. Regarding the rocket launcher... nice model, but is the blurry skin intended? I saw that on testing and I thought we'd fixed it. We'll get on that. Thanks for letting us know!